The christmas recipes have begun! It’s time to prepare yourself for the fact that every corner of the internet is decorated with tinsel. Everywhere you look there are suggestions about how to have a hassle-free christmas, ways to ‘do christmas on a budget’, gift finders for friends & family, and food gifts you can make for all. Apparently if you haven’t made your christmas cake or pudding by now, there’s no point! Also it seems that this year everyone has put their christmas decorations up on 1st December… I always thought it was bad luck to put your decorations up more than 12 days before christmas and certainly bad luck to leave them up for longer than 12 days after? I’ve abstained from putting any decorations up yet, however the task ‘drag the fibre-optic christmas tree from the attic and plug it in’ is on my list of things to do. No this is not a joke either, it’s a very stylish Habitat affair and I love the twinkling little tree. My Mum is a huge fan of Christmas, every year it’s like a Christmas filled Bomb has gone off and every inch of the house is covered in something glittery, musical or made of foil and the outside of the house is like Oxford’s very own Blackpool illuminations! This is probably why I’m a bit muted when it comes to Christmas. Don’t get me wrong I love this time of year. When I’m commuting from work in the evenings and the Christmas tree at Magdalen College lights up the quadrangle with it’s stylish white twinkling lights it’s magical. Then I pass a house with a half-inflated snowman bouncing around on top of their garage looking a bit sad and a santa that looks like a burglar as he hangs from a window on the side of their house, and the decision to have minimal decorations at home seems like the right one for me. This year I’ve had to think about christmas a bit more than usual and this actually hasn’t been a bad thing, from coming up with recipes for the blog and requests for foodie gifts for friends and family, I was also approached by BrightHouse to provide a recipe for their Christmas Kitchen feature. I chose a recipe that I had been playing around with for some time and that was Stollen Biscotti. I absolutely love marzipan, so I didn’t need much encouragement to come up with a recipe that included this ingredient. I also really associate marzipan with christmas, probably because as a kid it was my favourite part of the christmas cake or Stollen. To find the recipe for these biscotti, take a look at the BrightHouse Christmas Kitchen website and select the + near the oven. 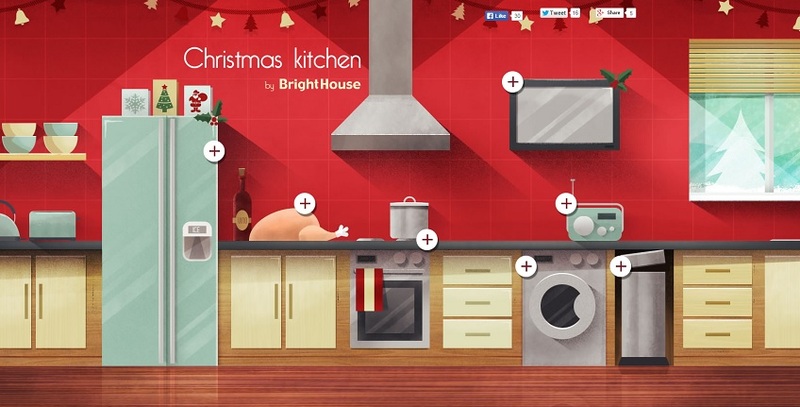 Here you’ll see a selection of recipes to try at Christmas. Alternatively you can also see the recipe here, they keep for over a week and without sounding too cliched they do make an excellent gift this time of year. 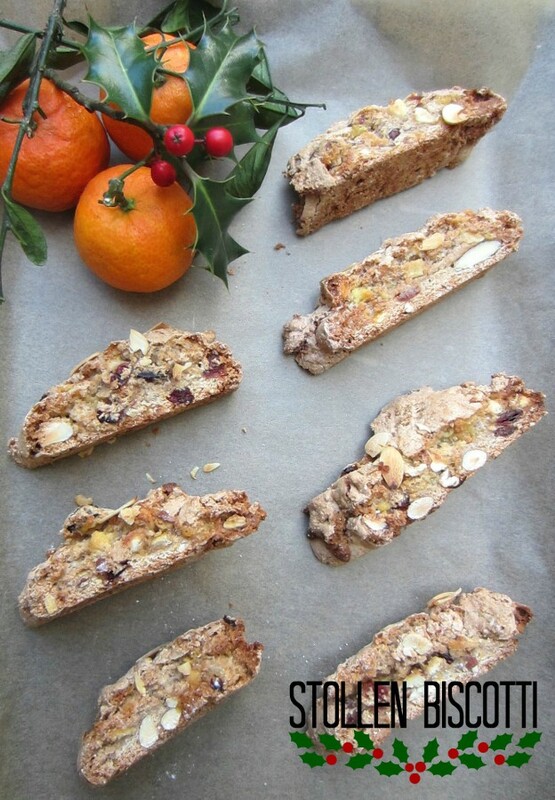 This is a delicious recipe for Stollen inspired Biscotti. I have combined the two recipes so that you have the crunch of a rich biscotti, permeated with the marzipan, mixed peel and cranberries that are associated with the Christmas bread Stollen. This is a really simple recipe and takes no time at all to prepare, they go perfectly with coffee and are even better if you dunk them a little to soften them. Preheat the oven to 180C Fan (200C, 350F, Gas Mark 4) and cover a baking sheet with baking parchment. Combine the eggs with the sugar in the bowl of a food mixer and mix on medium for around 10 minutes. Add the mixed spice to the frothy egg and sugar mix and fold in with a spatula or spoon. Roughly chop the whole almonds and add them to the batter along with the marzipan, mixed peel, cranberries and lemon zest. Mix them in gently. Add the sifted flour and fold this into the mixture. The mix will be very thick, you’ll struggle to stir it. If it’s really tough, you can add a tablespoon or two of milk and mix it in well. Spoon the batter into a disposable piping bag, without a nozzle and cut an opening of about 5cm. Pipe two rows 25cm long by 5cm wide on the prepared baking tray. Alternatively you can divide the dough in two and pat the dough to form two sausages on the baking tray. Sprinkle the loaves with the sliced almonds and bake for around 30 minutes or until a cocktail stick comes out clean. The cake may still be a bit soft, but this is OK, because you’re going to cook the cake again. Immediately transfer the loaves to a cutting board and slice them with a long straight knife (don’t use a bread knife, this will make them crumble) on the diagonal, about 1cm thick. Place the slices cut side down on the same baking sheet and bake for a further 7-10 minutes until crisp, but still pale. Let cool on the baking tray, before storing in an airtight container. They should keep their crunch for at least a week. I was genuinely astounded when they emailed me, but I’m not going to lie, I was pretty chuffed. I like the idea of having a very christmassy house, but I just never get round to it! What a fantastic baked hybrid. I love both stollen and biscotti, so this looks like a definite winner for me.. I too quite like magical twinkling lights and not too much tat, however, my tat loving husband keeps sneaking things in and putting them on display where I can’t reach…! 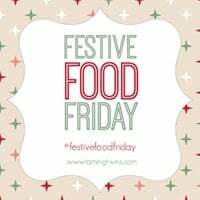 Thanks for linking to #festivefoodfriday. I am a huge fan of baked hybrids. I’ve featured cherry bakewell croissants and lemon drizzle croissants on the blog! Thankfully my boyfriend is not a fan of tat, so it’s going OK. Thanks for featuring my recipe in #festivefoodiefriday! These sound amazing! I’ve never had stollen and a friend asked me to make it for their xmas party next week which I’m a little anxious to try and do, would it be cheating to make these instead? They look adorable. I’m going to attempt Stollen this week I think. I’ll let you know how I get on. I think it’s leavened, so I may have to use my airing cupboard to prove it at this time of year! These taste so delicious, I was really pleased with them as they were a total experiment. The marzipan becomes a little bit candied, it’s pretty tasty. All of the stollen ingredients have been purchased. I’ll be making it tomorrow! Wish me luck Hannah.